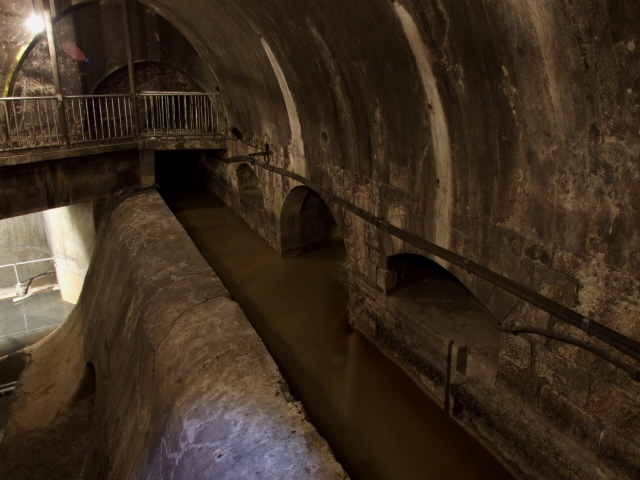 Guided tours that take visitors down into the "underworld" of Vienna's sewers, in particular to spots that were famously used for key scenes in the classic movie "The Third Man". More background info: "The Third Man", released in 1949, was one of the most surprisingly successful movies of the immediate post-WWII era. It's based on a novel/screenplay by Graham Greene who was directly inspired by post-war Vienna, and so the backdrop and thematic setting of the film have an almost documentary quality, though the cinematography offsets this with some decidedly experimental elements. The plot, as briefly summarized as possible, involves a second-rate writer, Holly Martin, who comes to Vienna to see an old friend, Harry Lime, who Martin soon finds out is apparently dead. He learns that Lime had been a wheeler and dealer in substandard black-market penicillin, which left many an unfortunate patient damaged for life – apparently this was indeed a real-life problem in Vienna at that time. Martin, however, finds out that Lime's death was only staged, and that he still carries on with his illegal dealings, using the underground sewers to move from one part of the city to another, which above ground was heavily patrolled by the military. Martin eventually meets up with Lime – who is played by Hollywood star Orson Wells – who in one of the most famous scenes of the film delivers his infamous "cuckoo-clock speech" on Vienna's landmark Ferris wheel in the Prater amusement park. In this speech he plays down the noble morals Martin is trying to promote by cynically pointing out that 500 years of peace and democracy in Switzerland have produced little more than the cuckoo clock. The showdown of the film takes place in the sewers of Vienna, when police (and Martin) chase Lime. Intense dark scenes of eerie footsteps, reverberating voices and echoing gunshots make these scenes really stand out. They rank amongst the most captivating in movie history. In fact, though, parts of what purportedly is a sewer is actually the Wien river in its concreted over underground canal … but never mind, it certainly provided for better angles and light. The enduring fame of the film is today still exploited in Vienna, even though initially, it hadn't even been all that successful in the city in which it was shot – that came later, more gradually. A cinema on the Ring, the Burgkino, still screens the film regularly (in the English original), there's a museum about the movie, and at least three regularly scheduled walking tours on the theme. 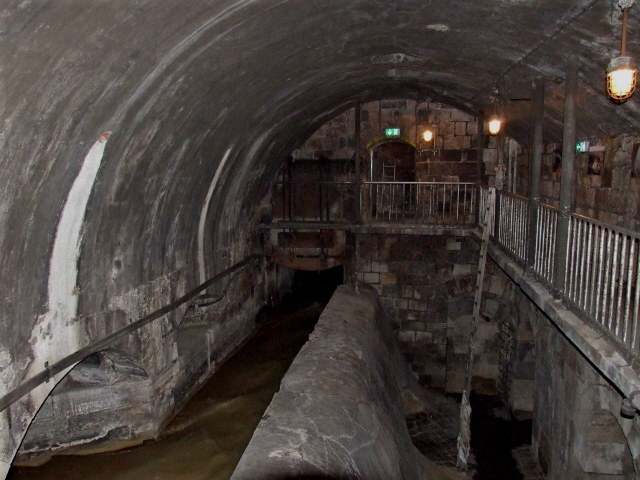 On one of these tours, visitors are taken down into the parts of Vienna's sewer system where crucial scenes of the film were shot – and given the element of darkness and undergroundness and the film's general dark tone, I thought this could be featured on these pages with an entry of its own too. What there is to see (and smell): I've experienced this unusual tourist treat twice, once in October 2009 on a German language tour and again in May 2010 in English. Apart from the language there were also further differences. One general one is that now you have to wear hard hats with little LED headlamps on them. The reason for this is not just enhanced safety (a good thing, especially if you're tall, since some of the corridors are indeed so low that you could easily bang your head). 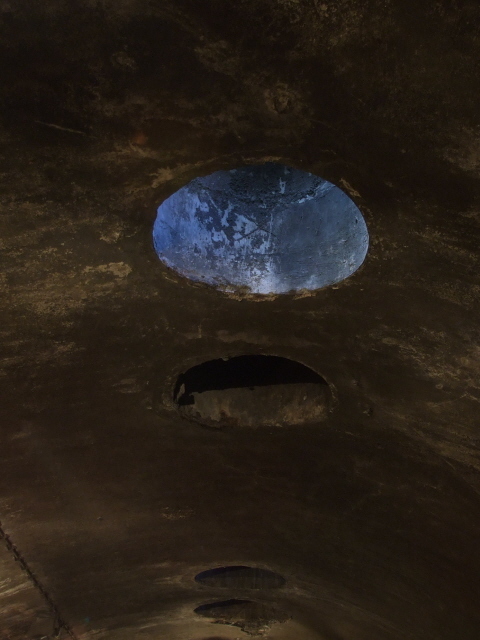 It's also because the underground passages are now less lit up – clearly to heighten the spooky atmosphere – which has furthermore been supplemented by a few sound effects that come from hidden tannoys. For real, on the other hand, are the sounds that cars rolling over manholes make – this produces strange clanking noises which reverberate around the underground passages, seemingly coming out of nowhere. Much eerier than the recorded sound effects. Once you've registered, paid for your ticket and have been provided with your hardhat, the tour guide will first give a brief introduction, still above ground: bits of information about the film and post-WWII Vienna in general. On the English-language tour this was much briefer. But that's not necessarily a bad thing as you get to what you're here for quicker: namely when the group descends through a star-shaped hatch into the actual sewers. This spot also featured in the "The Third Man" and may thus look familiar to those who've seen the film. Down there you get to see three "rooms" connected by low corridors. 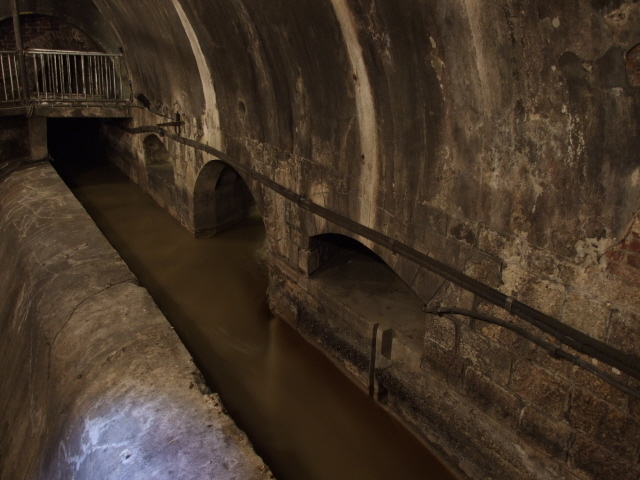 The first room is at one of the main sewer canals with its fast-flowing dirty water. This is the smelliest section on the tour, but it's not actually all that bad. But if you're really, really sensitive, take a scarf or mask to cover your nose and mouth. Here a short film is shown. In 2009 this was in German with English subtitles and it was projected onto a screen suspended directly above the sewer. In May 2010 the film was in English and was projected directly onto the walls. While this may be an improvement in as much as it, again, somewhat enhances the spooky effect, it makes it more difficult to follow the film: it's harder to discern what it is that's being screened and the sound reverberates in such a way that it is also harder to understand what's being said (subtitles are of course unaffected by this). Then the "Third Man" theme is picked up again in the next room – which will look instantly familiar to all those who have seen the film. This is the main original location of many of the sewer shots of the movie – although others were actually shot in a studio mock-up in England. Orson Wells was famously reluctant to go down the sewer himself (allegedly he was afraid of rats), so that a double was needed. The location is real, though, even if it has been slightly altered: a new overflow canal inlet was added in recent years, only barely visible behind the old weir. On the more recent English-language tour I did in May 2010 it was here that more film snippets were projected directly onto the wall opposite the elevated walkway you stand on – and colourful lighting effects were added as well. The German-language tour in 2009 was focused less on such haunted-house effects and more on factual information delivered by the guide. The new design is more effective in a visual sense, perhaps, but to be honest I preferred the more sober earlier approach. (It was also easier to take good photos of the room, as it looked in the film – which of course lacked colour effects, having been shot in black and white.) But others may well prefer the "upgraded" design – it's a matter of personal taste, I suppose. By the way: at this point, the sewer odour is negligible, as the waters are actually fed by Vienna's many little rivulets coming down from the hills of the Wienerwald. The next point on the tour is another sewer proper, and here you can see it too: grimy bits hanging of wall, lamps and lower handrails. More info on the history of the sewer is provided here. 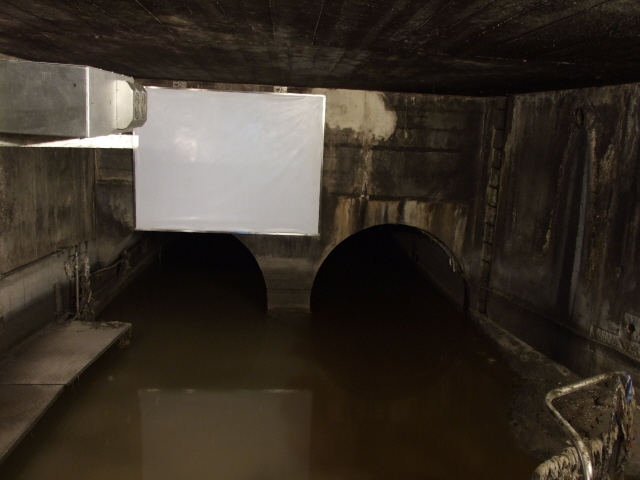 In 2009 another film was shown here, again projected onto a screen suspended above the sewer. It too was more on the topic of "The Third Man" movie and its various connections with Vienna – and if I remember correctly was more traditional and informational rather than for effect. What I did not see in 2009 (allegedly for security concerns) but was again included in 2010 is the famous inside of the tunnel that the Wien river flows through and which provided one of the most iconic images of the entire film. It could well be that whether you're shown this or not is weather-dependent (obviously, if there's been too much rain, the water levels may suddenly rise to levels too dangerous for people to be down here.) If you get to see it it's quite something – although you don't actually see that much, since it is pretty dark. Still, even in the dim light of the headlamps on the hard hats and the guide's torch you get a feeling for the cavernous space of this covered river. On my tour in May 2010 there was even a car down here! It was the police (just as in the film!) – and their rear lights in the distance gave a good impression of distance. Then it turned round and came towards us. Quite a sight! Finally you are led back up into the open and there's a chance for some more questions and answers. And that's it. 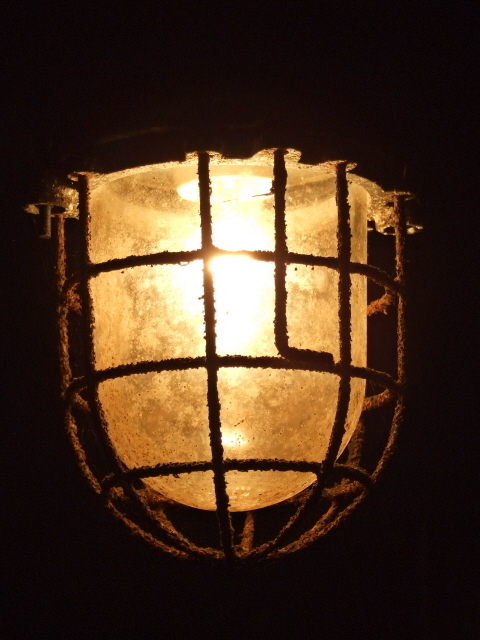 All in all, the tour is only about one half to two thirds about the "Third Man", but that shouldn't stop dark tourists from doing it – as the other real-life bits of info about (and sensory experience of) the sewer are also worth taking in. It's not even as claustrophobic as you might expect – only the connecting corridors may feel a bit narrow, but the stations where the talking and film-showing takes place are quite spacious. Incidentally, you are very unlikely indeed to encounter any rats on the tour (even though the guide may joke about you not being allowed to take any away with you). Even if there are any about, they'd disappear at the first sign of humans approaching. 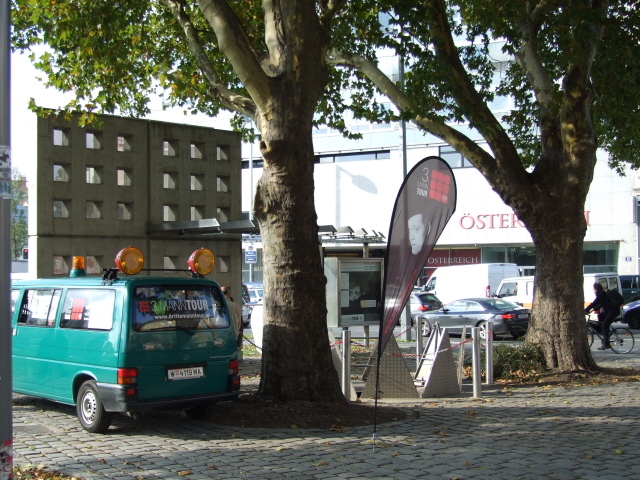 Location: under Vienna, more precisely: under Esperantopark and Friedrichstraße on the southern edge of the First District bordering the 4th – the meeting point for the tour is opposite No. 6 Friedrichstraße – and is clearly marked. Access and costs: restricted, seasonal and by guided tour only; reasonably priced. Details: It is, quite predictably, only possible to go down to the sewers on guided tours. Before you're admitted you also have to sign a disclaimer (as the environment down there potentially poses a slight health & safety risk). Tours are conducted seasonally only, between 1 May and 31 October, and during the season take place Thursdays to Sundays, every hour on the hour between 10 a.m. and 9 p.m. – cost: 7 EUR (concessions and combination discounts apply). English-language tours may only be offered somewhat less frequently. Best check ahead. And also as the tours are generally very popular and numbers of participants for each tour are limited, it is highly recommended to book ahead: phone +43-1-4000-3033. 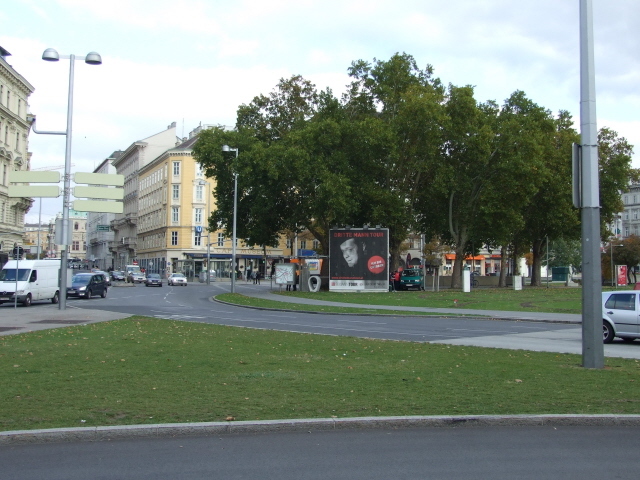 The meeting point for the tour is at the access hatch on a small green plot called Esperanto Park (for a small statue in honour of the inventor of this artificial language, Ludwig Zamenhof) – from the First District walk down Operngasse from opposite the Opera itself until you come to an open area where the busy street Friedrichstraße bends down into Wienzeile. 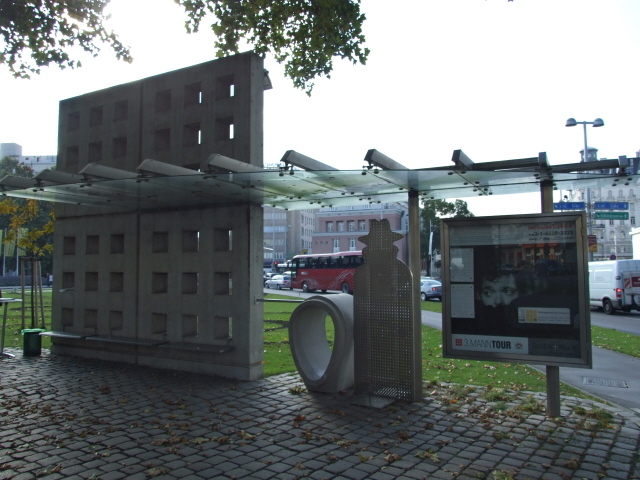 The meeting point on the island in the street/square is marked by a large information panel next to a kind-of monument (and at times by a kind of oddly-shaped flag featuring the distinctive face of Orson Wells as Harry Lime, as well) and a single concrete sewer section. Here, you'll find the green van where you have to register for your tour, sign the disclaimer and leave your payment, before the group tour commences. Time required: The tour lasts about 45 to 55 minutes; you are advised to be at the meeting point 15-20 minutes before the start of the tour (for administrative reasons – you need to sign a disclaimer before you can join such a tour). Combinations with other dark destinations: There are further attractions on the same movie theme, esp. an above ground "Third Man" walking tour of some of the locations where scenes for the film were shot. Such walks are organized by the same company that also offers the sewer tours – and in fact if you book both you get a discount. Another "Third Man" walking tour of film locations is offered by viennawalks.com. Those not yet or no longer all that familiar with the film could go and watch it (in the English original) at the Burgkino cinema on Opernring 19 (showing the film usually on Sundays and Tuesdays at 4 in the afternoon, sometimes also on Friday night (best check ahead at www.burgkino.at). The "Third Man" connection could also additionally justify a trip out to the Prater funfair with its iconic Ferris wheel, which also featured in the film. It's quite heavily touristic, but why not go on it all the same and when at the top spare a few thoughts about morals, penicillin, Italian bloodthirst and cultural icons and/or Swiss democracy and cuckoo clocks … for those seeking a more immediate adrenaline kick, the funfair also offers some real white-knuckle rides of the highest order! For other dark sites not related to the "Third Man" in any way see under Vienna. 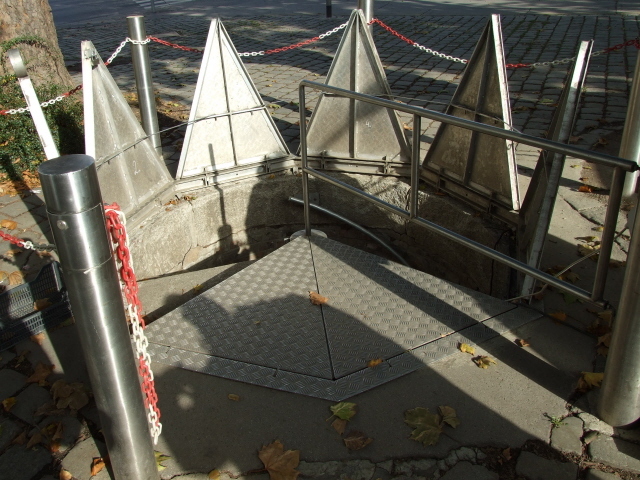 Combinations with non-dark destinations: The access hatch to the sewer tour is only steps away from some of Vienna's best sights. One of them is the Naschmarkt. You may not immediately feel like it, perhaps, after the smells of the sewers, but a visit to the food market and bar/restaurant strip that is the Naschmarkt is a firm favourite amongst Vienna's visitors and locals alike. At one end of the market, closest to the meeting point for the tour, stands the Secession building, arguably the finest example of Vienna's rich art nouveau (Jugendstil) architectural legacy. On the more baroque front, the imposing domed church Karlskirche with its two unusual, almost minaret-like columns is certainly worth a look – and is only a few hundred yards east of the tour meeting point. Just north of it is one of the grandest stretches of Vienna's famous Ring street, by the Opera and some of the city's most famous hotels (e.g. the Sacher).